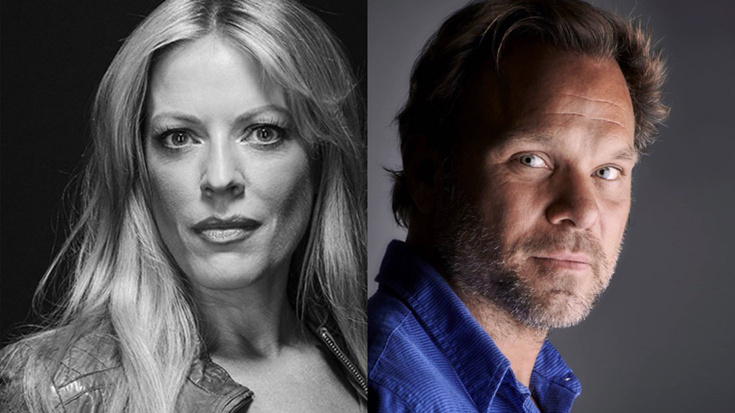 Sherie Rene Scott and Norbert Leo Butz are teaming up again. The original stars of The Last Five Years and Dirty Rotten Scoundrels have announced a shared concert engagement at Feinstein's/54 Below set to run from April 26 through May 2. The pair will revisit their 20-plus-year creative partnership in musical theater while sampling a new work that's in development. Todd Almond (Girl From the North Country) will serve as musical director. The hit comedy Schooled is giving us Bohemian vibes on tonight's episode. The ABC series will pay tribute to the Tony- and Pulitzer-winning musical Rent with a slew of hat-tips to Jonathan Larson's iconic masterwork. Check out a clip of "What You Own" from the episode below, and tune in tonight at 8:30pm ET to watch in full. A starry slate of performers have signed on for the one-night-only Actors Fund benefit Show of Titles: An Evening of Title Songs From Musicals Remembered and Forgotten, to be held at Feinstein's/54 Below on February 25 at 7:00pm. The previously announced event will be directed by Broadway veteran Adam Kantor (The Band's Visit), who will also perform, with musical direction by Rodney Bush. The evening will also feature performances by Significant Other alums Gideon Glick and Rebecca Naomi Jones, Fiddler vets Samantha Massell, Alexandra Silber and Melanie Moore, as well as Rebecca Luker, Christian Dante White, Alysha Umphress, Will Trice, Haley Swindal and John Cullum. The stars will perform unheralded title songs from musicals written by Richard Rodgers, Alan Jay Lerner, Burton Lane, Stephen Sondheim, Kurt Weill, Harold Rome, John Kander, Fred Ebb, Charles Strouse and many others.